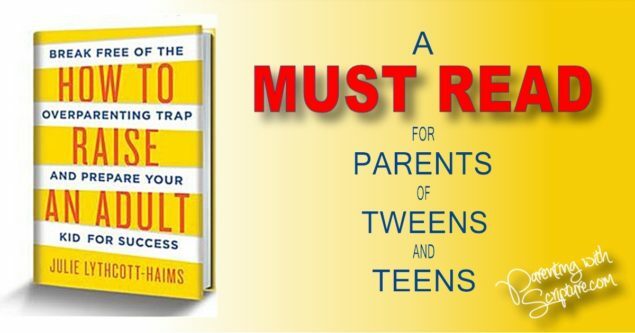 Must read for parents of kids 10 and up! “Where, oh where, is the book that will help me through this new phase of parenting tweens and teens ,” I wondered with angst! For reals….this is not me being dramatic. I had survived the preschool and early elementary years and could see the shift towards adulthood happening before my eyes. I was terrified (if I’m honest) and prayerful. Admittedly, I’m a preschool person. So how in the world do I learn to better parent these morphing kids?! I started scooping up middle school and teen parenting books in my quest. None of them were quite what I was looking for. I honestly didn’t know what I was in search of, but knew I’d know when I found it. That day came when a school administrator mentioned this book in passing during a meeting. I wrote it down and am so thankful I gave it a try. It was that “Ah Ha!” book I had been hunting for. The author comes from a perfect background to write such a book and does an excellent job of backing her points with real life stories paired with research. It’s a fascinating read. Click picture to purchase through Amazon. Why do I think this book is so important to pass along to you? It truly has shifted my thinking in how I go about parenting my kids and has played out in some wonderful ways in the time since I’ve read it. It is not in the Christian book genre. However, it makes me mindful that all the issues I’m bucking up against in parenting my aging kids are so much easier to deal with from a solid Biblical foundation. If you have younger kids, keep pouring into them! You have greater influence now than ever! If you have older kids or teens, remember that it’s never too late! Make your faith a part of life through daily time with Him, building deeper community with your church home, and using resources like Parenting with Scripture: A Topical Guide for Teachable Moments to help you capture and create teachable moments. I’d love to hear your favorite book for parenting tweens and teens. Please share!